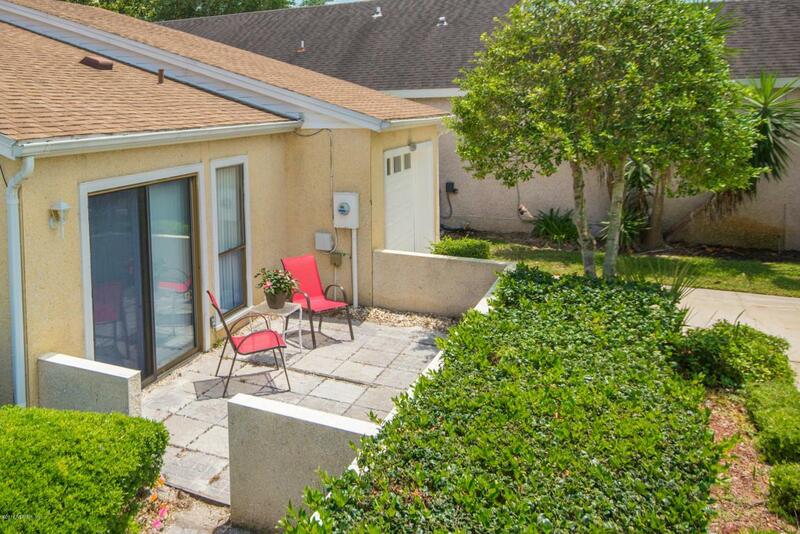 Cute, bungalow style patio home that is close to the beach! 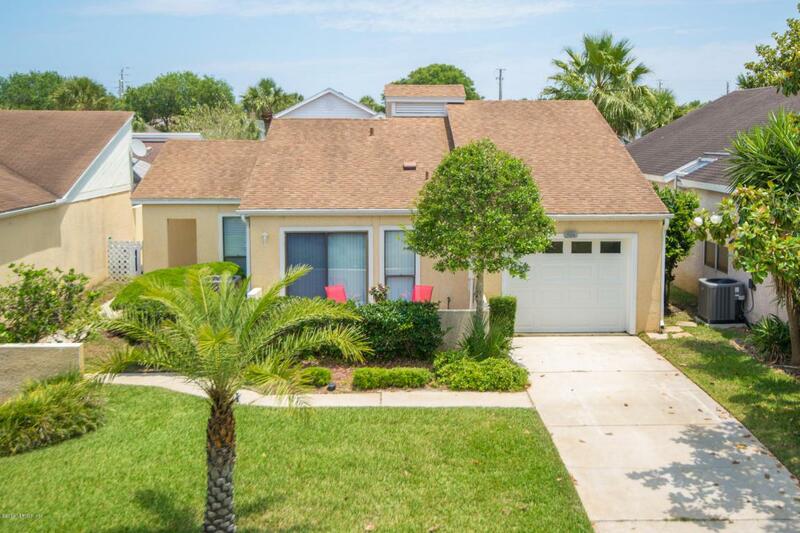 You will love the nicely updated kitchen with white cabinetry and granite counters. Newer carpet and tile in living area and bedrooms are a great neutral color. Bright with the sun shining on the three separate patios and streaming in through the windows and sliding doors. 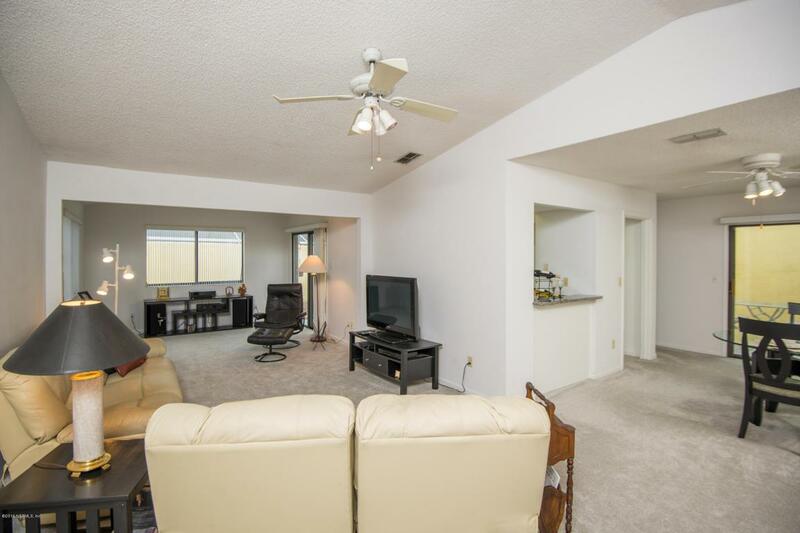 Spacious master and separate guest bedroom or use as office or den. Association takes care of the front yard work, and home has newer A/C. Relax and enjoy! Lounge by the neighborhood pool, meet friends at the clubhouse, or take in tennis or racquetball. Stroll or bike to the beach or restaurants and shops nearby, or a short drive can take you to historic downtown St. Augustine or other local attractions. 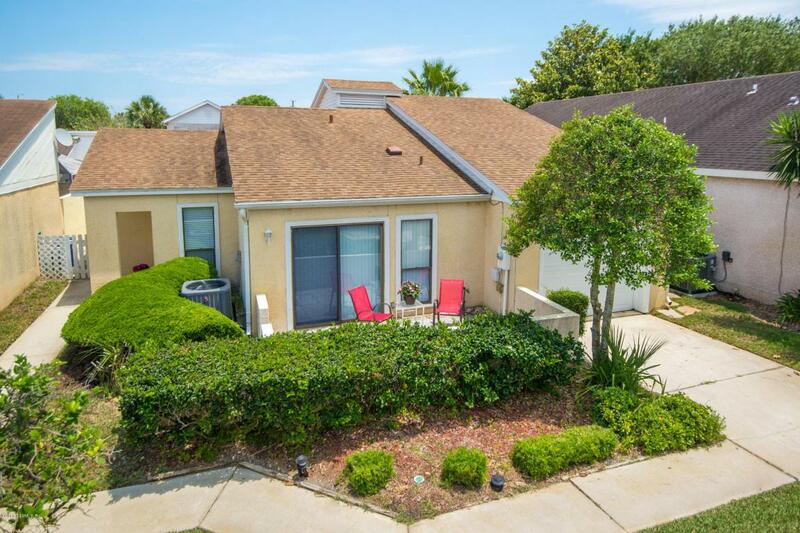 Great island location for your St. Augustine home!